Rise exists to create the ultimate conditions for innovation and growth in financial services. Since 2015, Rise has focused on building a global community of the best minds in FinTech to disrupt, challenge and confront the way things are done in our industry. Find out more on our website here. Today, we have over 250 FinTech companies who call Rise home, and a virtual community of over 6000 members. If you want to get involved, subscribe to our newsletter today. 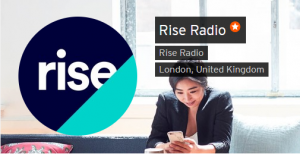 Click on the image to listen to the Rise podcast. Be surrounded by your own kind. Everyone working from our offices is involved in FinTech. So you can grow, develop and learn from each other. In our spaces, you can focus on what matters – your business – without worrying about things like changing the coffee filter or setting up the WiFi. And if you need to grow your business and get a few extra desks, or shrink it down for a little while, you can. Contact us for membership options to get started. For our Barclays Client and Partner network, there’s an opportunity to get involved with our Rise community to and help you discover new opportunities for growth. Throughout the year, we hold FinTech events relevant to your sector, and provide you with the chance to network with Rise members and companies from our Accelerator programme. Spot new opportunities for growth. We have a unique global community of some of the most promising FinTech companies, who work from our Rise offices or have joined us on our award-winning Accelerator programmes. So you have the opportunity to invest, mentor and partner with some of the leading FinTech scaleups, and work together towards mutual success. 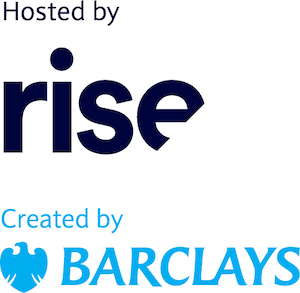 Find about more about the Barclays Accelerator programme here. Get a glimpse of what lies ahead. If you’re thinking of starting up your own business, you’re an intrapreneur or you just have a passion to discover what’s new, we run a whole host of events and workshops across all locations. We cover a wide range of FinTech topics that will keep you informed and entertained. Come and join our global community to keep updated on what’s new.